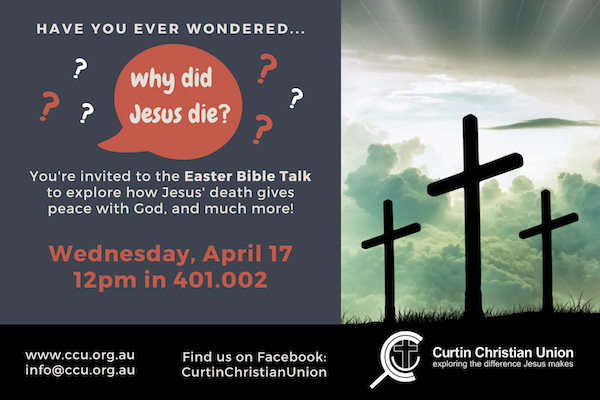 Welcome to Curtin Christian Union. We’re a group of students exploring the difference Jesus makes. During semester we hold a Bible Talk each week on Wednesday at 12pm in 401:002, and Bible study groups that meet at various times. If you’re considering what Christians believe we can also help. Please contact us for further information. You can also sign-up to stay up to date on CCU news and events.